SAIC Roewe 550 PHEV: Are we witnessing it following Qin's steps for success? 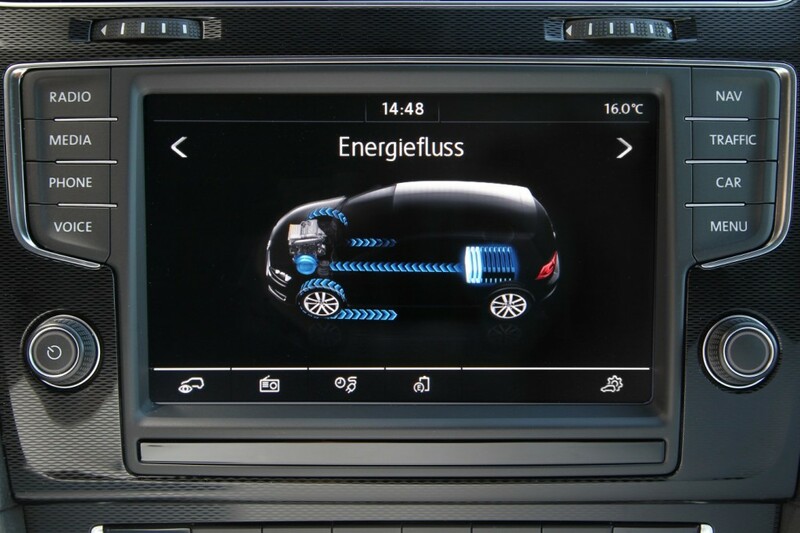 Almost 38.000 plug-ins were sold last month, which represents a significant 40% increase regarding the same month last year. August finally crowned the BYD Qin with the #1 position, ironically, in the first month the chinese sedan has a sales decrease (3.534 units vs 4.030 last month). The top two, Nissan Leaf and Tesla Model S had average performances (3.269 units and 2.805, respectively) but the Mitsu Outlander PHEV had a surprisingly slow sales month (Only 2.328 units), losing the #3 for the BYD Qin. This may indicate that September will see a Tesla-like surge in sales for the japanese SUV. If it does, it will be another piece in the puzzle of what i suspect will be a record-breaking month of September, will we see it cross the 45k mark? Fingers crossed! Outside the Top 10, two models had noteworthy performances, the SAIC Roewe 550 PHEV sedan sold a record 1.628 units, placing it in a honorable Sixth on the August ranking, while the just arrived BYD Tang registered 1.432 units last month alone, earning its first Top 10 appearance (#7, to be precise), in the future we will surely hear a lot about this SUV, and if this year the YTD Top 10 place seems unlikely, next year it will be a given. Taking a short look at segmentation, in the city cars, the Zotye E20 is ahead (5.624 units), in the segment above the BMW i3 must have secured this month its second consecutive B-Segment/Subcompact car trophy, beating again the Renault Zoe, C-segment / Compact class is for the Leaf, while the in class above, this year it will go again for the Ford Fusion Energi (6.196 units), a car that could do wonders on other side of the Pond...Tesla is eons away from the competition in the following class, next is the rarefied field of F-Segment/Luxury full-size cars the veteran Panamera Plug-In still holds the lead against the Merc S500/550e (856 units vs 523), while on Sports cars, SUV's and MPV's, it's business as usual, with the BMW i8, Outlander PHEV and C-Max Energi leading the way. After four consecutive months winning the Best Selling Manufacturer title, this time with a new personal record (5.402 units), BYD is closing in fast to the leader Nissan, with only 3.291 units separating them, the leadership might still change until December 31st. Mitsubishi and Tesla are running a close race for #3, for the moment the California-based automaker holds a 539 units advantage over the japanese, but anything can happen next month. Chevrolet is preparing the assault at the #9 position in September, time where the Volt II will start rolling around the streets of the World North America in silence. 289 EV's were sold in Belgium last month, which is a respectable number to present in August, a holiday season, with YoY sales up 124%. 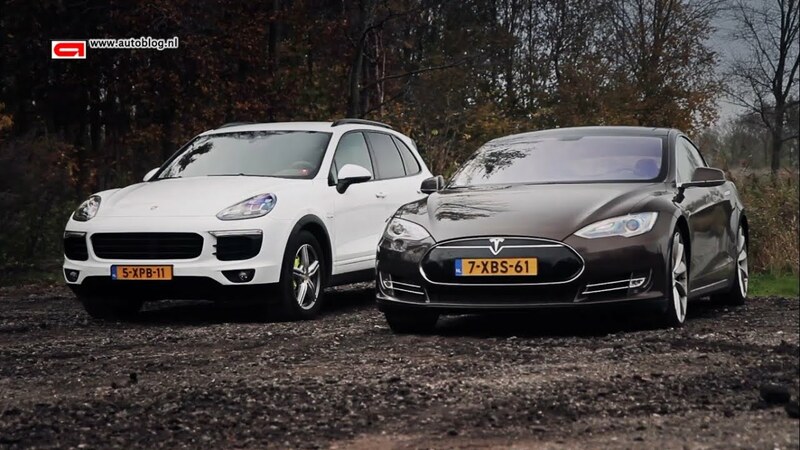 The two reasons for this good result are called Tesla Model S and Porsche Cayenne Plug-In, both performing one of their best performances of the year (3rd best for Tesla, 2nd best for Porsche), their race for the Best Seller crown is pushing the belgian EV Market forward (Around 0,9% Share), and that can only mean good things. Most places remained the same, but at the bottom, the Peugeot iOn jumped four positions to #20 and with its Mitsu I-Miev twin registering its first units of the year this month, we see something of a comeback from the I-Miev family. In the manufacturers ranking, everything remains the same, with Porsche leading (23%), followed closely by Tesla (22%, + 1%) and BMW, with 16%. More than 10.000 units were sold last month in the European EV market and still without the Belgium numbers, it's a 55% improvement YoY, so plug-ins continue in good health and con only get better, considering the last events. Looking at the monthly models ranking, the big news is the first #1 of the VW Golf GTE, after several runner-up places (July, May and January), the PHEV hot-hatch has finally made it to Number One, benefiting from the upcoming skin-change of the Outlander PHEV (Only #5 with 938 units, worst performance in 19 months), but this Top 5 has one more surprise, thanks to a 400 unit fleet deal in Denmark, the BMW i3 jumps to #3 and performs a year best performance, this result is so good for the german hatch that we have to go back a year to see the i3 back in a podium seat. Looking at the YTD ranking, thanks to some updates on the UK data, there are a number of changes to report, all below the top nine positions: the Kia Soul EV is now #10, jumping four positions, the Kangoo ZE and Nissan e-NV200 continue their close fight for #11 and the Best Selling LCV in the chart, with the frech now back in front, and the VW e-Up! drops three positions to #13. On another good month for Mercedes, their PHEV offerings have positive results: the C350e jumps three positions to #16 and the S500e climbs two positions to #24, surpassing the Panamera Plug-In in the race for best selling F-segment EV. Looking at the brands ranking, Volkswagen increased slightly the lead Europe's EV Manufacturers Throne (19%, +1%), followed by Mitsubishi (16%, -1%) and Renault, stable at 13%. Thanks to a new article on RAC Foundation, i can now post a ranking regarding UK's First Half of the Year sales. An amazing 13.000 plug-ins were sold in the first half of the year in the UK, trouncing the 4.000-something of the same period last year, and is less than a thousand units away from breaking the record result set last year, like, in the whole of 2014! Looking at the models ranking, the top two continue miles ahead of the competition, together own two thirds of the market (49% for Mitsu's SUV, 18% for the Leaf), with the BMW i3 still in Third, but it has been assisting to a sales slowdown, which might have to do with a couple of new models, like the #6 Audi A3 e.Tron and its sporty cousin, the #7 VW Golf GTE, two cars that have everything to succeed in the Old Albion. Regarding the rest of the ranking, the BMW i8 dropped one position to #5 (Still, is its highest position in the Top 8 markets), to the benefit of the Renault Zoe, now #4, while the Model S also dropped one position to #8. In this more detailed ranking, a reference for the good performance of the Mercedes models: The S500e plug-in hybrid is #10 with 124 units, the Mercedes B-Class ED is now #15 and looking to reach a Top 10 place until year end, and finally the C350e plug-in hybrid has just landed to register its first 19 units. The absolute record for diesel consumption (without hybrid assistance) of a production model has 16 years, it's in the hands of the 1999 Volkswagen Lupo TDI 3L, which, as the name says, averages three liters of diesel consumption per hundred kilometers. Comparing the 3L with its gasoline direct competitor, the 1.0 Lupo (5.6l/100kms), not only the diesel version was more powerful (61 PS vs 50 PS), it also saved 2.6 liters every 100 kms! As for the current best performer in diesel consumption, incidentally another Volkswagen, the Polo TDI Bluemotion averages 3,1 liters/100km, while its gas brother, the TSI Bluemotion, averages 4.1 l/100kms AND is more powerful than the diesel version (95PS vs 75 PS). So, 16 years after, the diesel advantage has dropped to only one liter in consumption and is now behind its gasoline counterpart in power...And the Polo TSI Bluemotion isn't even the most fuel sipping gas model, to my knowledge, they are the Kolin brothers (Peugeot 108, Citröen C1 and Toyota Aygo) and Fiat 500 Twinair, with 3,8l. So, what happened to diesels to win in the 90's and how did gasoline engines recovered since then? Same answer to both: Turbos for power and direct injection for consumption. Turbos became standard with diesel engines in the 90's, and with the addition of direct injection by the end of the decade, diesel engines ended the decade far more advanced and nicer to drive than gas engines, which were generally still relying on atmospheric engines, with low torque and high fuel consumption. Comparing the european staple for regular cars, in 1999 the average VW Golf TDI had 110 PS/235Nm and made 4.9l/100kms, while its gas brother (1.6) had 101 PS/145Nm and averaged 7.5l/100kms! So, more power, (much) more torque and saving 2.6 liters per 100 kilometers, there wasn't much discussion on which fuel people should choose, resulting in historic diesel sales throughout the European continent, with consumers growing accustomed to them. But then the XXI century came and with it, a more environmental awareness across the globe, leading manufacturers to finally start to developing gasoline engines (The leading fuel outside Europe), including equipping them with turbos and direct injection, which lead gas engines to outpace the performance improvements that their diesel counterparts did during the same timeline. Let's look back at the same average Golf, now in 2015: The 1.6TDI has 110 PS/250 Nm and averages 3.4l/100kms, while its gas competitor 1.0TSI has 115 PS/200 Nm and averages...4.3 liters. In 16 years, if the diesel version stagnated performance-wise, at least saved 1.5l in fuel consumption, all while the gas version improved its record performance-wise AND at the same time decreased fuel consumption by 3.2 liters! 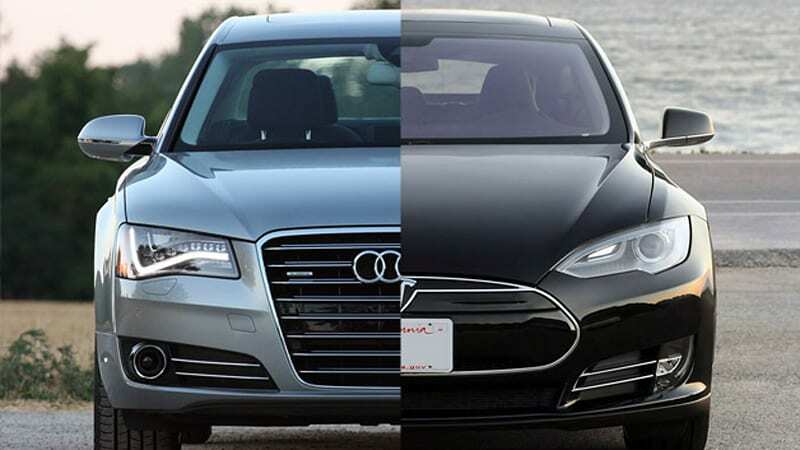 So, both are at the same level of performance, while the diesel saves 0.9 liters in every 100 kilometers, but it is also more expensive. Mmmm...Not so easy now, eh? Thanks for the History lesson, but what does it have to do with plug-in vehicles and the current VW emissions case? This introduction was needed to realize why was Volkswagen so desperate to promote "Clean Diesel" to US consumers that they deliberately tried to cheat regulators and consumers alike, during several years Volkswagen, and european carmakers in general, relied on diesel engines to power their vehicles, disregarding gas engines and leaving alternative technologies, like hybrids and electrics, in the back seat. But a few years ago, in the US and elsewhere, hybrids became mainstream and plug-in cars were turning out to be the Next Cool Thing, and VW was behind Toyota, Tesla, Nissan and others alike, while even in Europe gas engines were starting to recover ground, with Toyota hybrids leading the way. VW had to react, but their technology on altenative fuels was years behind, so as an instant band aid to stop the sales bleeding, the german automakers came up with "Clean Diesel" and marketed it as another alternative fuel source, like hybrids or plug-in cars. Only, they weren't and we are now at this turning point. Is this the time you start talking about the impact this has on EV's? Besides the instant impact this has on the Volkswagen Group sales, and the incoming nightmare of lawsuits, fines, buybacks, etc, the lasting results of this will be that we might be witnessing the beggining of the end of the diesel engine era, a sort of meteor that has hit the earth and will lead to their extinction in a few years. Looking a few years ahead, after Volkswagen (And possibly others) had paid millions to recover from their misdemeanors, diesel engines will have been so discredited that most consumers will prefer other fuel sources for their vehicles (Like electric...) and legislators will want them to be banned from larger urban areas so, especially in Europe, this year might signal the beggining of a escalation for a shift into cleaner fuel sources. But back to VW, in the middle of all the doom and gloom, this situation has a hidden opportunity for Volkswagen Group, despite being outrageously high priced, their plug-in car sales place VAG as the #2 Automotive Group in the World this year! That's right, Renault-Nissan is #1, with some 50k units, followed by VAG with 32k and BYD, with 31k. On the positive side, there will be more buyers willing to trade their diesel-burning powerful-long-journey-bruisers for a clean variety of them, like, say...A Tesla Model S / X, so good news here. So, to summarize it, regarding EV's, this can only be a good thing, regarding Tesla, in the short term it is a blessing, but could become a curse in the long run. Austria: Next battle to breakdown the establishment? Now with some PHEV data available, allows us to have a more complete picture of the current EV scene in Austria, last month sales were up 78%, with sales on track to beat last year result (1.772 units) and establish a new all time record, will we see it reach the 2.000 units? Looking elsewhere, the BMW i3 and Renault Zoe are continuing a long lasting race between the two, only this time is for #2 and the Nissan Leaf might still have a word on it. The manufacturers ranking shows Tesla in First (25% Share), with Renault in Second (17%), and BMW in Third (14%), although the last place in the podium might soon change, as #4 Nissan (13%) and VW (12%) too close for the bavarian automaker to rest. We have updated numbers from Finland up until August, with 447 units sold until now, sales are already above last year, and only 9 units behind the all time record of 456 units, set in 2013, thus showing a market in rapid growth. 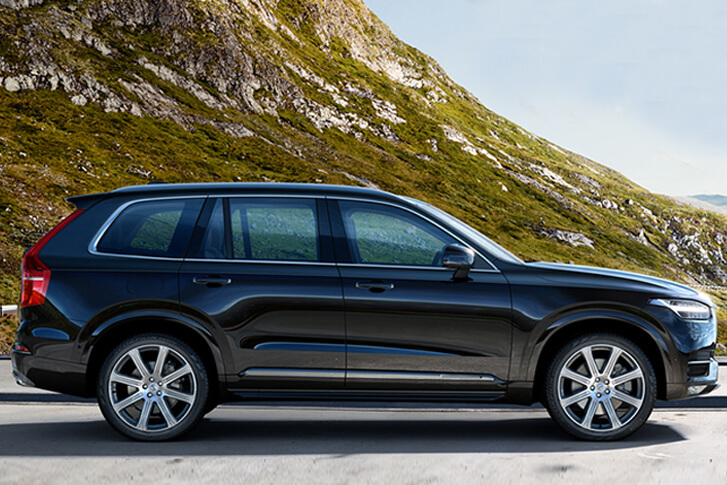 Looking at the rest of the ranking, the VAG cousins Audi A3 e-Tron (#6) and VW Golf GTE (#5) are replicating here the success achieved in other markets, all while the Volvo XC90 Plug-in made its first registration, can the swedish SUV aim for the top next year? EV sales are up three fold in South Korea, with projected sales this year (2.000-plus) above the number of plug-ins sold until in Dec 31 2014, making 2015 the real Year One of EV's in SK. Looking at the ranking, the Samsung SM3 ZE (The second coming of the Fluence ZE), is selling strong, registering in one month almost as much as it did last year (203 units), pressuring the leader Kia Soul EV. The BMW i3 is increasing the sales pace and winning share (Up 2% since June), while two other foreigners are also making themselves noticed, with the Nissan Leaf in #4 and the just landed BMW i8 looking to replicate the success it has in other markets. With this kind of growth rates, it wouldn't be surprising if other manufacturers joined the SK plug-in market.